Video content won’t replace traditional copy, but it will be an absolute necessity to engage your audience and compete against growing competition. 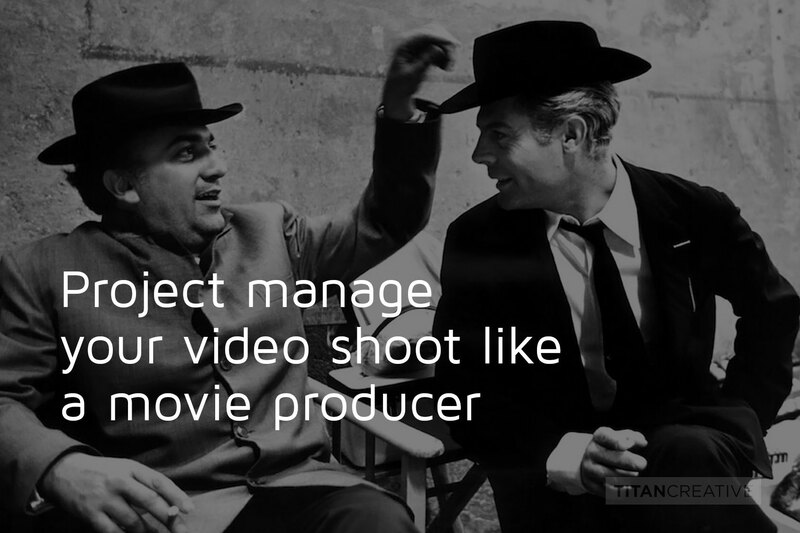 But don’t worry – you don’t need to be Fellini to produce and leverage video more effectively. Whether you need to increase your clickthroughs on a landing page, improve your website SEO, develop a stronger connection with your employees or gain more customers, there is no getting around the need for videos in strategy. You probably already have this on your to-do list, but how do you produce high-quality content without breaking your budget or adding more hours to an already jam-packed calendar? The answer is taking control of your video content and acting like a real video producer. Don’t be intimidated if it sounds like an overwhelming production – you can knock those videos out of the park by following these tips. Before thinking about the actual creative side of the video, think of how a producer would tackle the project. You’ll need to have a clear purpose and outline so you can accurately relay your vision and requirements. Start by writing out a production outline for what you need to achieve. Ask yourself these key questions and make sure they are answered in your outline. What are the main objectives of the video? Consider your target audience, marketing campaigns, sales goals and brand awareness. What are the video themes? This could be part of a larger company campaign or a connection to other materials on your website, blog or Intranet. What style are you aiming for? There are many options including interviews, customer testimonials, promotional offers, traditional commercials and training videos. Where is the video being shown? It may be displayed on your website, social media sites, a company conference or broadcast on traditional TV. How long do you want the video? Shorter is usually better, especially when shared online, but there may be specific length requirements depending on its end use. Is there sound in the video? Consider whether you’ll want music and if there will be audible voices and talking. You might be thinking this is a really basic question, but it can have a huge impact on your bottom line and video success. Sound is in many ways more important than visual in a video, and most people will be exit a video with bad sound much faster than one with poor video quality. What is my budget? This is the big-ticket item, as budget will dictate a lot of the nice-to-have items and production capabilities. Some extra padding in your budget can help take a video to the next level, but don’t worry – even short and sweet videos can pack a punch. Your production outline will be the basis for any internal campaign plans you need to present to management, and will be extremely helpful when working with video production teams in the next step. Stay posted for what to look for when hiring a video production company, plus a pre-production checklist you’ll need to plan a seamless shoot. Want to learn more about how we can help you drive results through video? John Currid is a Senior Video Producer at Titan Creative Inc.
PREVIOUSDigital experiences & trends going mainstream.